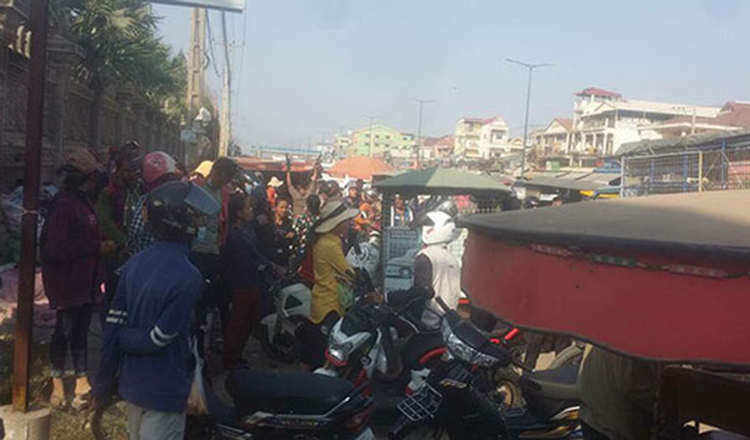 Phnom Penh Municipal Court yesterday began the trial of union president Ath Thorn and his deputy Ek Sopheakkdey over strikes for better working conditions and wages for workers back in 2013. 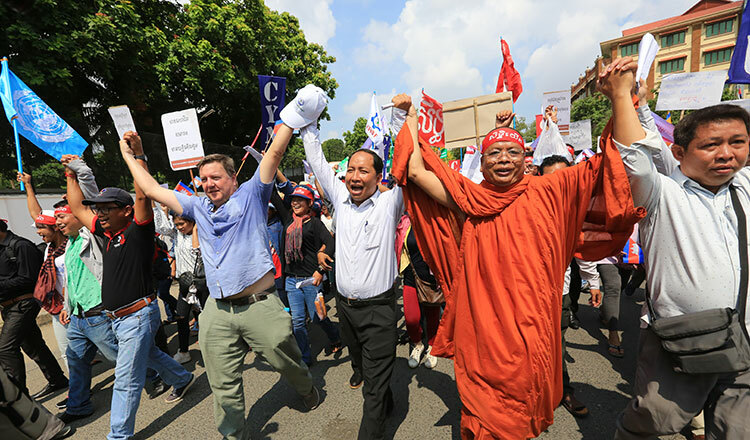 Mr Thorn, president of Coalition of Cambodian Apparel Workers’ Democratic Union, and Mr Sopheakkdey are accused of inciting about 2,500 garment factory workers to hold a strike against Chinese-owned SL Garment Factory in Meanchey district. Between August 1 and December 12, 2013, both men allegedly incited the garment factory workers during the strike. 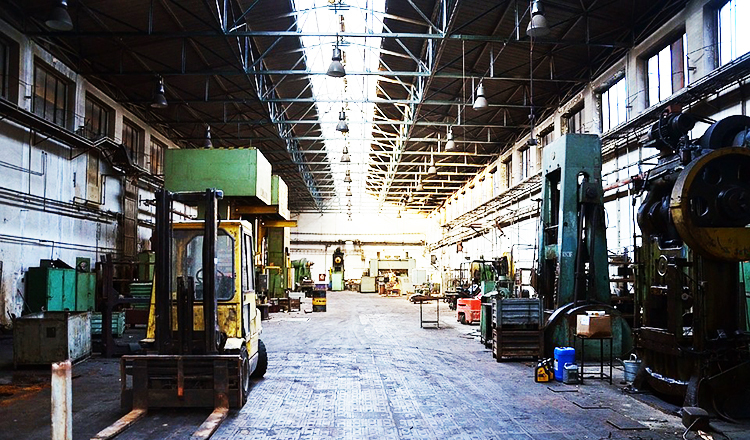 On November 1, 2013, the workers armed themselves with metal bars, wooden planks and rocks and forced their way into the factory to destroy and steal company equipment. Judge Im Vannak said both of the accused were charged with incitement to commit a crime, intentionally causing damage and theft. Both men could be imprisoned for up to five years if found guilty. 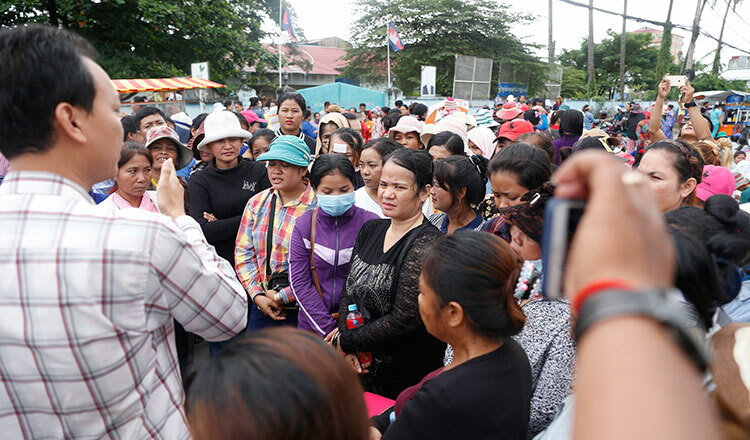 Judge Vannak noted that both men were sued by Wong Kim Y, a factory management representative, who demanded $1.5 million for damages caused by the striking garment workers. Judge Vannak noted that the strike ended on December 12, 2013, after the Labour Ministry intervened and made the factory owner increase the salary of the workers and improve working conditions. Mr Wong, the company representative, did not attend yesterday’s hearing. However, in a letter dated April 23, 2015, Mr Wong’s company had already withdrawn the lawsuit. The letter was only revealed and read by a court clerk yesterday. Mr Thorn also did not attend yesterday’s trial, but Mr Sopheakkdey did and said that he denied all accusations against him. Chim Kheang, Mr Thorn’s lawyer, yesterday said his client also denied encouraging workers to steal and damage factory equipment. Vong Bunvisoth, court deputy prosecutor, said that Mr Thorn and Mr Soksopheakkdey should still be held responsible regardless of the withdrawal of the lawsuit by the plaintiff. A verdict is due Tuesday.